Locked outside of your automobile, house or office? 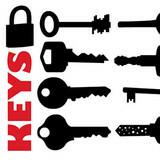 Need an emergency professional locksmith company that may help you? If you do, youre at the right location. We are a mobile emergency locksmith professional provider that provides rapid and efficient solutions within this town and surrounding areas. For quite some time, we have been providing services in this area and also have demonstrated an incredible status as a result of our quality workmanship and affordable fees. 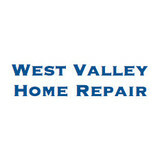 West Valley Home Repair offers a broad range of affordable, high quality Handyman Services for your home or business. We serve the West Valley and surrounding communities, including Saratoga, Los Gatos, Monte Sereno, Campbell, Cupertino, Los Altos, Santa Clara, Sunnyvale, Mountain View, and San Jose. Your complete satisfaction is our foremost objective. Small jobs are welcome. All work is guaranteed. References available. Although there has never been a claim, West Valley Home Repair is insured for commercial general liability (property damage and bodily injury). Have you ever had something to fix in your home but didn’t know how? Did you ever have a repair project around the house but no time to do it? Have you started a project too big for you but not big enough for a contractor to be interested? Stop worrying call Top Cat today for all your handyman, home repair and improvement needs! We work very closely with our customers to gain an understanding of the services they would like and what they are envisioning. 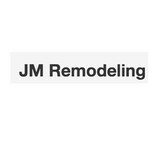 We dedicate our time to provide homeowners with amazing results through meticulous craftsmanship and high quality personalized service. A handyman, also known as a handyperson or handyworker, is a person skilled at a wide range of repairs, typically around the home. These tasks include trade skills, repair work, maintenance work, are both interior and exterior, and are sometimes described as "side work", "odd jobs" or "fix-up tasks". We are dedicated to working closely with our clients to deliver your project on time and within budget, to ensure complete satisfaction with the overall completed project. Killary Construction Inc. takes pride in our reliability, honesty, professionalism and attention to detail.